Are Beam Central Vacuum Systems so good? Check it here! 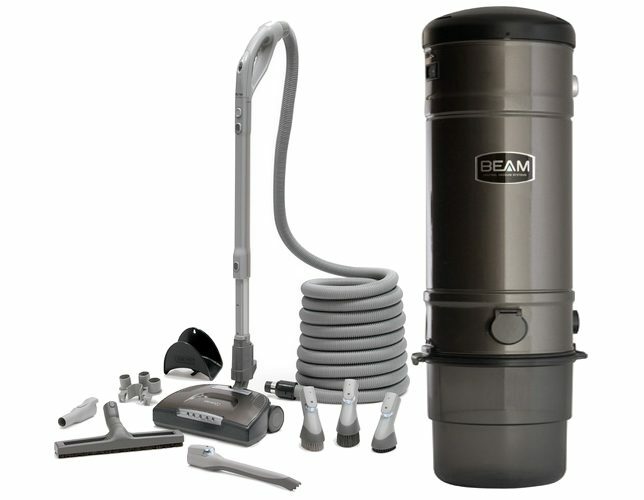 The Beam Company started production of their central vacuum systems in the middle of the 20th century. Since then, the cleaning and filtering technologies implemented into the vacuum cleaning devices have been improved and upgraded significantly. Smart Screen Technology. There are three levels of smart screen technology: advanced, intelligent and simple. Fingertip Control. It easily adjusts the suction amount and switches the power unit and brush roll into the On/Off position. Quick Clean Valve. It can be easily opened with one finger touch, simplifies the process of car or garage cleaning, and does not require additional valve installation. Press and Release Bucket. This bucket is easy to be released and cleaned with just one pressing movement. Self-Cleaning Filter. This is an exclusive Beam filter equipped with GORE technology. It ensures 98% filtration of particles of less than 0.3 microns in size and prolongs the motor life. There is no need for filter cleaning or filter bag purchasing. HEPA Exhaust Filtration. This exhaust filtration system provides the highest level of protection from pet dander, pollen and dust mites. Double-D Nozzle. This nuzzle decreases noise emitted from the hose handle. More than that, it perfects airflow and cleaning performance. 3-in-1 Cleaning Tool. This tool is fixed on the bottom side of the telescopic wand and can be easily transformed into a dusting brush, a fabric tool or a crevice tool. Choose among a wide range of highly-efficient Beam central vacuum systems for their every need. PREVIOUS POST Previous post: Valet Central Vacuum Systems is so Famous, but why?